Canadian biotech Medicago is building a $245 million new production complex in Quebec to make more vaccines and therapeutics based on plant technology. The ($200 million US dollar) project will create 200 new high-skilled jobs by 2019 – which adds to a team of 180 employees already working at Medicago's Quebec City offices and labs. 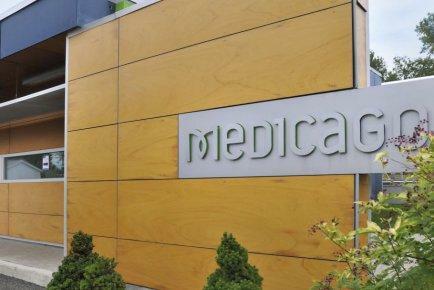 "We're pleased that Medicago will take this next major step in Quebec City, where we have already developed our innovative technology," says Andy Sheldon, Medicago's chief executive. "We will export most of our vaccines to foreign markets, but we also believe our new production complex will help Canada meet its needs for seasonal and pandemic flu vaccines, in addition to strengthening the country's response to emerging diseases around the world." Medicago's new 44,000 m2 facility will be located on a 90 000 m2 site and have the capacity to deliver up to 40 to 50 million doses of quadrivalent seasonal flu vaccines. The firm uses plants to fight seasonal and pandemic influenza, ebola and other health threats – and its technology was used to produce candidate vaccines for H1N1 in 2009 and H7N9 in 2013. Medicago was recently awarded a contract by the US government to manufacture ebola antibodies in its Quebec City pilot production plant for a study in non-human primates. Medicago's major expansion project received support from three levels of government in the form of loans or discounted land purchase costs. The governments of Canada and Quebec provided loans of $8 million and $60 million, respectively, and the municipal government contributed to a value of $6.5 million. Over two years ago Japanese drugmaker Mitsubishi Tanabe Pharma bought a majority stake in Medicago, with the attraction being the firm’s platform for producing VLPs and antibodies in tobacco plants that can create vaccine candidates. But this new construction built in Quebec City's Espace d'innovation D'Estimauville (Estimauville innovation park) is down for completion by 2019, and will regroup Medicago's head office, R&D activities, and commercial production plant.